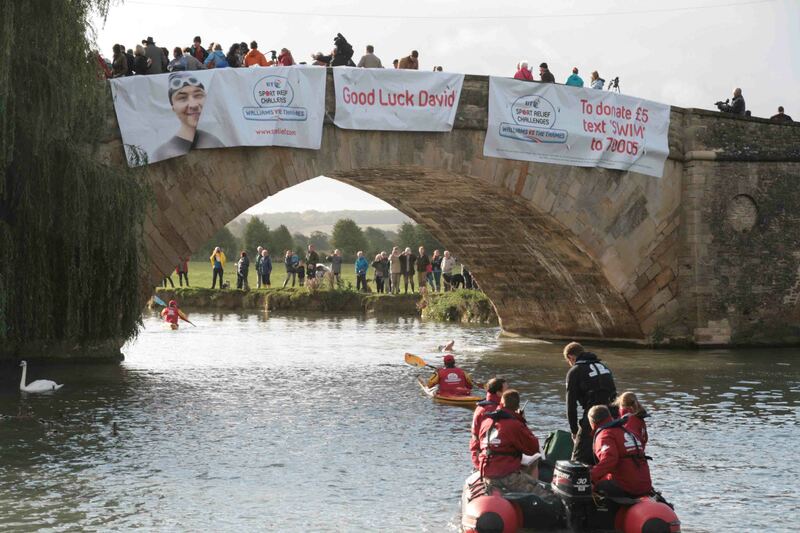 At 8.30 on September 5th David Walliams, TV comedian and actor extraodinaire, kissed wife Lara Stone goodbye and stepped into The Thames at The Riverside Pub, Lechlade, cheered on by more than 1000 wellwishers. 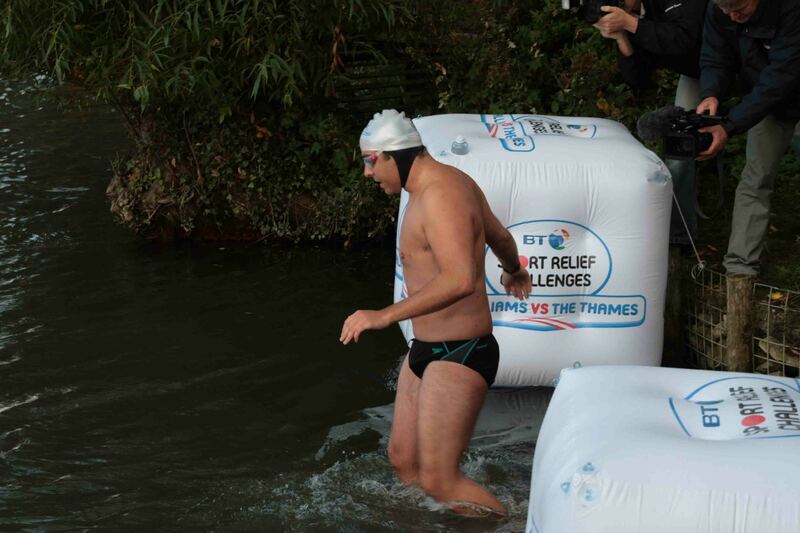 Over 8 days he will swim 140 miles to London, getting out under the shadow of Big Ben on Monday 12 September. He aims to swim for around 8-10 hours a day, covering around 20 miles a day. Arkell’s Brewery, which owns The Riverside, provided over 50 crew and supporters with food and drink and Andrew Cutler, local butcher, cooked hundreds of bacon sandwiches to keep everyone fed.